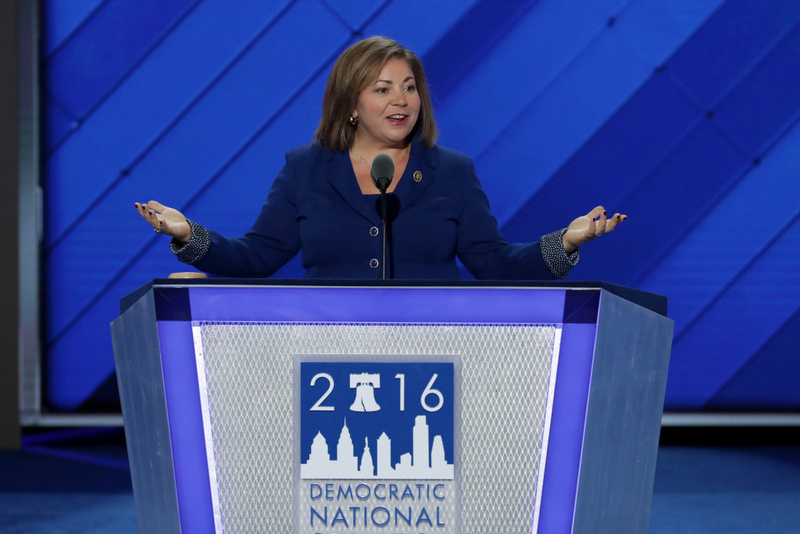 Linda Sánchez of the Congressional Hispanic Caucus, delivers remarks on the first day of the Democratic National Convention at the Wells Fargo Center, July 25, 2016 in Philadelphia, Pennsylvania. There’s an opening for one of the most powerful jobs for congressional Democrats— and two lawmakers from California have eyes for it. The gig is to run for chair of the House Democratic Caucus, and the job is open after current House Democratic Caucus Chair Joe Crowley of New York lost his primary race to progressive upstart Alexandria Ocasio-Cortez. Norwalk Congresswoman Linda Sanchez said that she’ll run for the seat last week. And now, Oakland congresswoman Barbara Lee is also declaring that she’ll throw her hat in the ring. KQED’s Scott Shafer has been following the story.